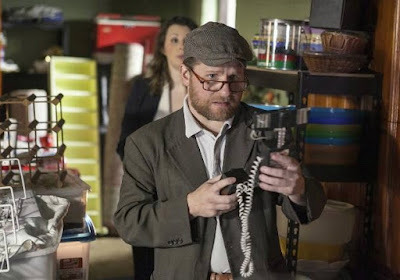 Two fake ghostbusters go to a small town and try run their scam. Good but slight little film doesn’t do what you expect…and because it is too short it’s hard to discuss. The easiest thng I can say is that while the film is slight there is a kernel of something here and a couple of fine central characters that would make fine leads in a feature. 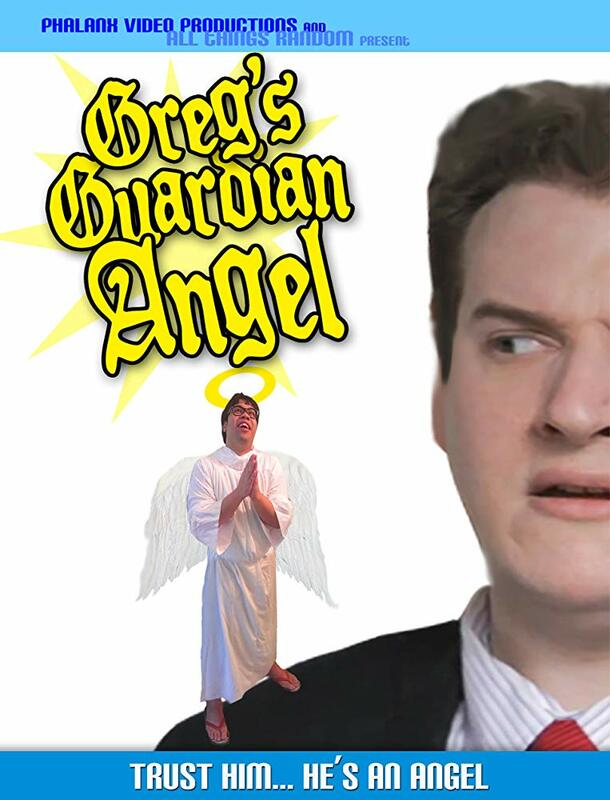 Gregg’s guardian angel shows up to give him advice. It changes Gregg’s life for the better. Unfortunately his repeated advice spins his life out of control. Amusing but unremarkable comedy is a little too goofy to really click. It’s the sort of thing I wouldn’t mind in a short collection at a festival or if stumbled on but it’s not something to search out. Andrew loves Carla bust she doesn’t know it. When something unexpected happens in the office he gets a chance to come to the rescue. Very good little short has two wonderful leads in Erik Potempa and Jocelyn DeBoer. The scenes between the pair shine and contain a realness and chemistry that deserves to be explored further. Worth tracking down. 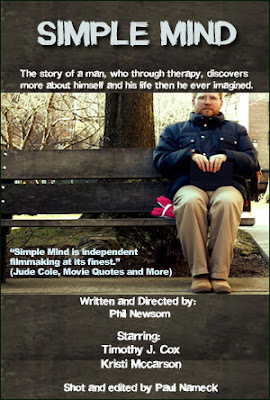 Timothy J Cox gives a masterful performance as a man in therapy discussing his life. And I can’t say more than that because in order to do so would require me to discuss the plot which has a number of surprises. Just know this is a super little confection that make it tracking down. Seth is out on a date with Michelle and it’s going badly. He’s still upset about losing Reina. Then things go wrong. 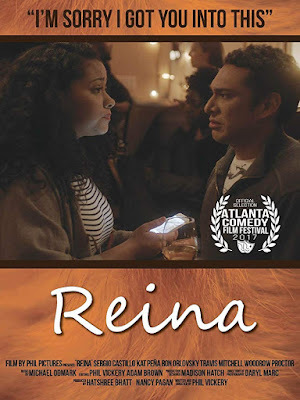 I’m mixed on REINA. The main problem is that the character of Seth is more abrasive than charming. I didn’t much care for him and his steady stream of dialog. Why Michelle is with him is kind of perplexing. On the other hand once we get to the bar where most of the film takes place the film fires on all cylinders as a group of great characters take center stage and grab your attention. I loved the interplay during this central section. Its so good that I watched it twice just to watch the magic that happens. 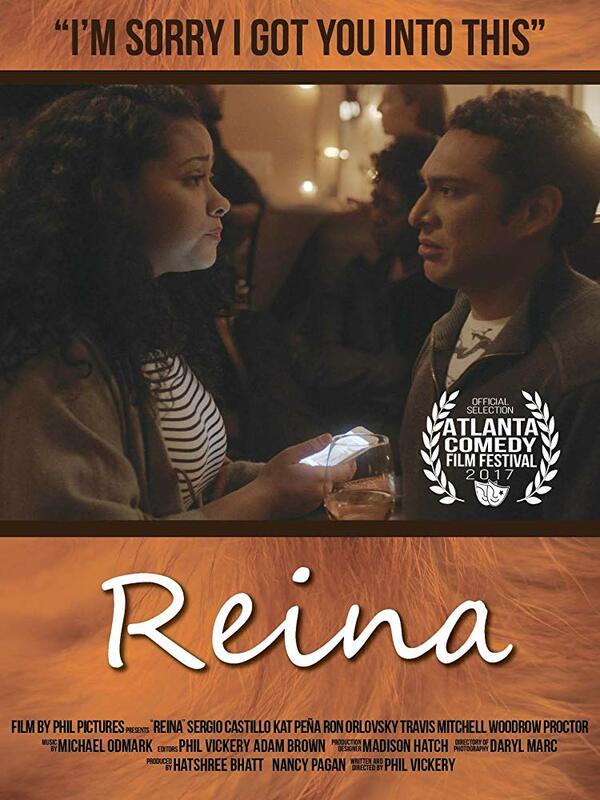 Despite an annoying main character REINA is recommended for everyone around him.